I would like to design a battery capacity system for my AGM lead acid battery (12v, 40Ah). My idea is that I have values of the battery voltage and its corresponding capacity, which I will use to plot a curve which I can then interpolate with the current voltage reading. I will be measuring the voltage of the battery with a INA219 chip. I contacted the company that manufactures the battery and was told that designing such a battery capacity monitoring system is not useful as an aging battery would eventually have reduced capacity despite an unchanged full charged voltage reading. They gave an example where the battery might start of with say 13.2V but may have reduced capacity (by 10Ah) in a few years while still retaining its maximum voltage reading (13.2V). Hence, plotting such a curve may not be useful. Also, I would not want to fully discharge the battery with the intention to regularly update changes to this voltage-capacity curve, since doing so would significantly impair the lifespan of my battery. Does anyone have any thoughts on alternative methods that I can monitor the capacity of the battery while taking into account capacity changes caused by an aging battery? Otherwise how can I continue using the voltage-capacity plot method while taking into account the changes caused by aging? Note that the time scale on this graph is logarithmic so the curves are a bit deceptive. However you can see that as current increases voltage reduces, and capacity is reduced at high current (eg. at 60A it lasts 30 minutes which is only 30Ah). So you can use voltage to estimate remaining capacity, but to get reasonable accuracy the effect of current draw must be factored into your calculations. how can I continue using the voltage-capacity plot method while taking into account the changes caused by aging? Capacity may be reduced due to shedding of active material from the plates, electrolyte loss, sulphation, impurities or contamination etc. Some of these things also increase internal resistance, causing greater voltage drop at higher current. Capacity loss may occur suddenly and cannot be reliably predicted, so to get the actual capacity you need to measure it. The obvious method is to fully charge the battery and then discharge it until empty. 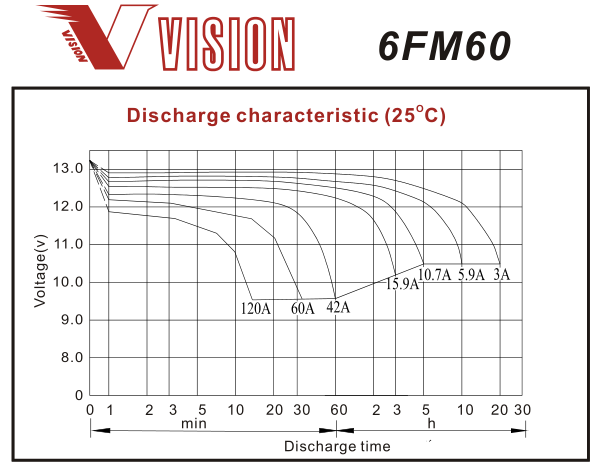 Alternatively you could just discharge until you reach the minimum working voltage in your system at normal current draw, as this is the effective capacity in your application. If only done occasionally this calibration cycle should not significantly affect lifespan. You can measure internal resistance by applying or waiting for a step change in current, then calculating resistance from the voltage difference. This figure can then be used in the calculations you do to estimate remaining capacity. Not the answer you're looking for? Browse other questions tagged batteries battery-charging voltage-measurement lead-acid capacity or ask your own question. ADC conditioning for Lead-Acid monitoring?